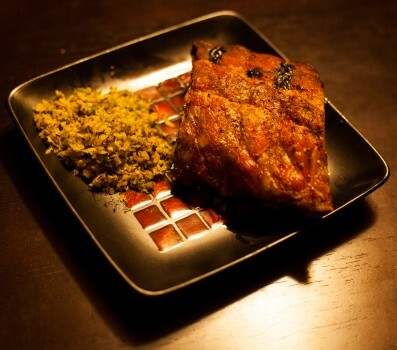 Paleo Food List > Are Ribs Paleo? Who doesn’t love a good rack of ribs? They’re tender, juicy, and lend themselves well to all sorts of seasonings. Something so delicious can’t possibly be healthy. It is! Despite the pseudoscience that started and perpetuated the myth that saturated animal fat will kill you, many of us now know better. Far from dangerous, saturated fat is actually a necessary macronutrient that confers numerous health benefits. You’ve probably heard that eating saturated fat will make you fat and give you heart disease, but in both cases, it’s actually the opposite. Consuming saturated fat boosts your metabolism and can help you loose body fat by promoting the breakdown of fat for nutrients. By cutting carbs and eating more fat you can transform yourself into a fat-burning beast! Consuming saturated fat does not contribute to high cholesterol levels. Our bodies produce cholesterol, making up about 80% of the cholesterol in our blood stream. Most of the cholesterol we eat passes right through us, undigested. Saturated fat is also extremely stable, meaning it doesn’t oxidize easily. It is the oxidized cholesterol that is likely to latch onto the insides of our arteries, causing inflammation and plaque build-up, but saturated fat doesn’t cause this. It’s actually the supposedly “heart healthy” polyunsaturated fats that do, because they are unstable. They are likely to oxidize when exposed to heat and light, leading to oxidized cholesterol in our blood. If you’re still worried about all those studies insisting on the hazards of eating meat, take a closer look at those studies.